These are the few rules to be fulfilled to accept this award. 4. 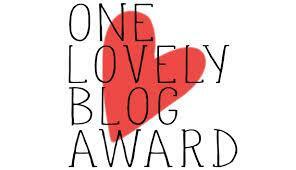 Nominate 15 bloggers you admire, and let them know by commenting on their blog. 7 Randomly crazy things about me. Here goes! 1. I am not a tomboy per say, but I am so at home and comfortable hanging out with guys. Guys are better friends and chilled out to be with than so many girls I know 😛 that said, I have some amazing girl pals too..but still!! 3. I’m a morning person through and through. I can get up at even three in the morning but cant stay awake beyond 11 at night! 5. I am quite the irritatingly animated talker you would meet. People say even if they mute me, they might understand more or less what I’m rambling about with just my expressions. Eyes and hands! 6. I have come to realize that more than writing my posts I’m liking reading others’ posts and commenting and interacting with them a tad bit more. Mind you, I’m pretty socially awkward person who never likes making the first move in real life but here I’m having no qualms making new friends. Yes blogging my-thing yo! LoL! Well that’s that! Hope you enjoyed reading my quirks and facts! And now for my nominations. For a change, I’m not going to nominate 15 people. I’m going to restrict myself to 8 blogs I love reading the most. 2. I recently came across this blog and I loving this blog and this blogger to bits. http://deepbluesandseafoamgreens.wordpress.com/ I love you talking-writing-ranting style. And it seems like I’ve known you for long. Funnily we met just two posts back. 😀 Lol. 4. http://layeredindulgence.wordpress.com/ this girl is all about style and I love that 🙂 You rock! Awww what a sweetheart, Thankyou so much , I am so happy that you enjoy my blog, I enjoy yours to. Great acceptance post, And thanks for the renomination. love this post! and thank you again so much for nominating me 🙂 I totally agree with you- interior designing is my dream job!! haha, If only I had the design skills to pull it off! Congrats on the nomination!